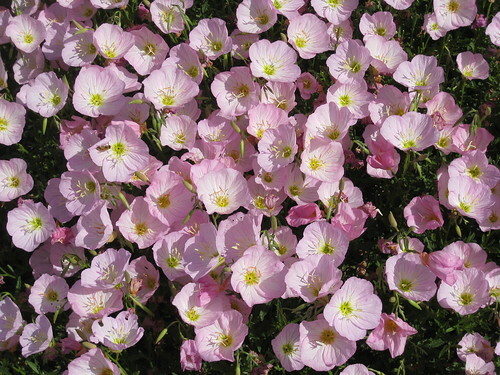 Mexican Primroses (Oenothera speciosa) Also called Pink Ladies, Mexican Evening Primrose. I planted one plant two years ago and I have a yard full : ) They are so pretty right now. I'm not sure what variety this is.